Benjamins are pleased to present to market this three bedroom end-terrace property on Creeton Green, Clifton. The property benefits from having external insulation and NO CHAIN, located in a popular residential location in Clifton. This property is ideal for a first time buyer or as an investment opportunity. The property is a 2 minute walk from the Stirling Grove park. 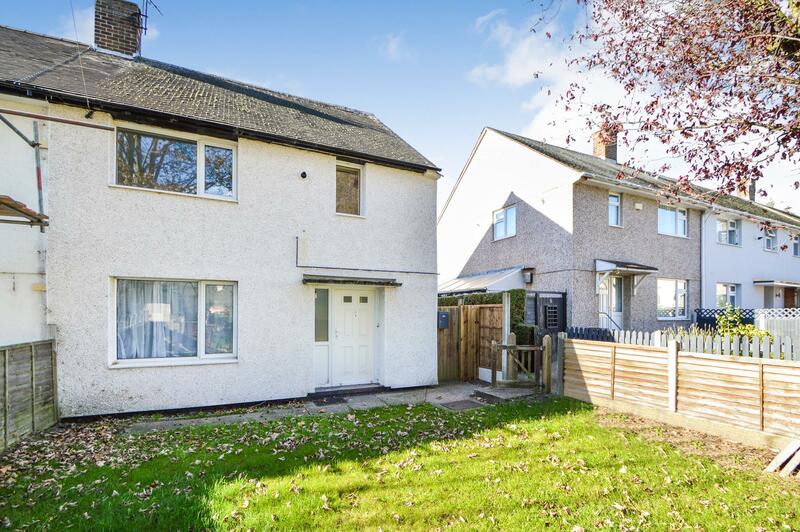 The property is in a great location for the local shops, leisure centre including bus and tram stops with access into Nottingham City Centre with easy access to the A453, A50 and M1 motorway. The accommodation briefly comprises; entrance, hallway, dining kitchen, living room and separate dining room. 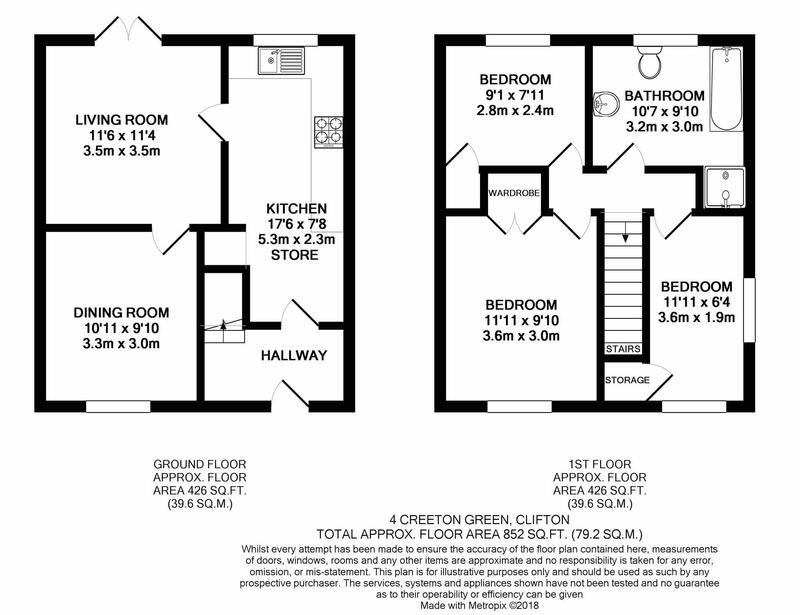 Upstairs there are three bedrooms, a family bathroom with separate shower cubicle and enclosed front and rear gardens. Double glazed door into entrance hallway, laminate flooring, built in cupboard, door into kitchen and stairs up to first floor landing. Double doors onto the rear garden, laminate flooring, ceiling light fitting, radiator and door into the front sitting room/dining room. UPVC double glazed window to the front aspect, ceiling light fitting, carpet & radiator. Stairs up to first floor landing, doors to bathroom and three bedrooms. The large four piece family bathroom suite consists of panelled bath with two taps, separate shower cubicle with electric shower, hand wash basin and toilet, towel rail radiator. UPVC double glazed window to the rear aspect. UPVC double glazed window to the front aspect, built in storage cupboard, ceiling light fitting, radiator & carpet. UPVC double glazed window to the rear aspect, built in storage cupboard, ceiling light fitting, radiator & carpet. UPVC double glazed window to the front & side aspect, built in storage cupboard with combination boiler, ceiling light fitting, radiator & carpet. The front has an enclosed garden and gated access to the side giving access to the rear of the property. New fencing recently installed down the side access of the property. The rear garden is fully enclosed, laid to lawn, hedge and fence boarders. The local authority Nottingham City Council has advised us that the property is in council tax band A, which we are advised, currently incurs a charge of £1,307.56 (2018/19) Prospective purchasers are advised to confirm this.